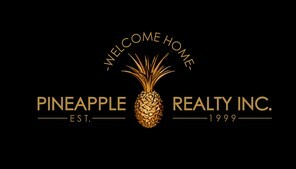 Company Profile – Pineapple Realty, Inc.
Pineapple Realty, Inc., was established in 1999 in order to meet the service needs of real estate agents and to provide the most cost effective, comprehensive support services for real estate agents in the industry. Our focus is on our agents and their customers . We enhance agent productivity and the sale of real estate by combining grass roots direct marketing, community involvement, and an integrated web presence. 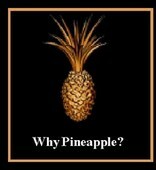 Pineapple Realty is a boutique real estate agency specializing in specific niche markets. The focus of Pineapple Realty is quality over quantity. Our agents appreciate a work environment that measures success by happy customers, rather than aggressive franchise-imposed sales goals. Our customers feel confident they are receiving the greatest possible attention and focus. All of our agents provide support to each other, so all of our clients benefit from our collective expertise. We are a “Next Generation” real estate company. We provide the motivation and tools necessary to make real estate agents successful. Pineapple Realty makes agents more effective through complete support services, unique results-oriented marketing solutions, and motivation. Marketing provided to our agents has a unique combination of lead generating systems, compound prospecting, and critical mass marketing to drive business, sustain client loyalty and create a sustained referral base. Better support for the agent means better service to the client, and better service to the client produces client loyalty, a referral base and solid growth. Our focus is underserved residential agents in major metropolitan areas and in areas that are fast growing. Quality, service and innovation drives our service and marketing efforts. Make a plan to achieve goals. Take action everyday toward our goals. Strive to always be fair. Anticipate problems and avoid them. Take pride in what we do, and make an extra effort in all things we do.